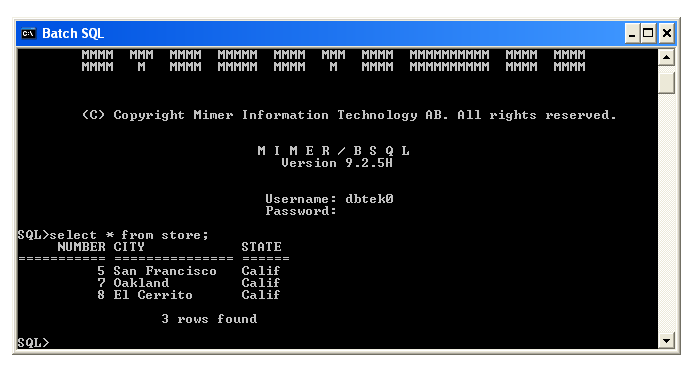 We have a Mimer server set up and running, for use in this database course. The Mimer server happens to run on a Linux machine, and we run the clients on Windows machines, but, like most large database management systems, Mimer can be run on a number of operating systems. If you wish to try out Mimer at home you can go to www.mimer.com and download a Mimer development version for, among other choices, Windows or Linux. 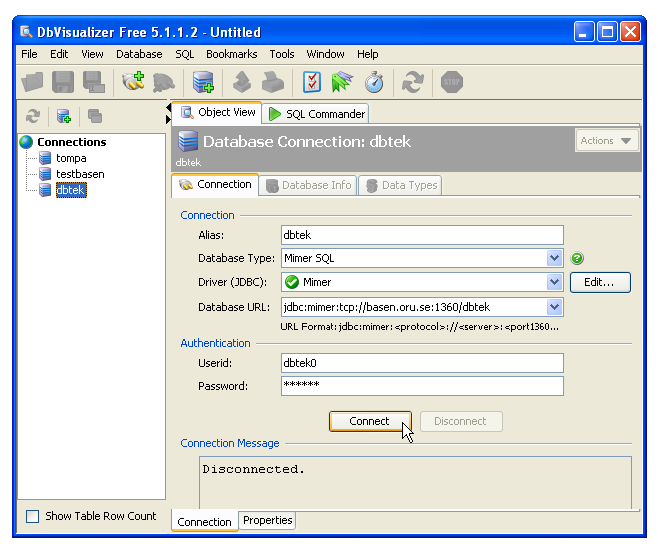 If you install this on your own computer at home, you can create your own databases, or you can connect to our Mimer server and do the lab assignments from home. 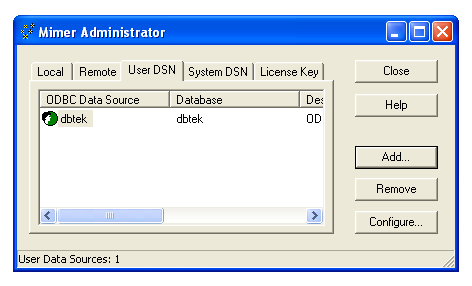 We have created a database called dbk on the server. Each student will receive a login name (for example dbtek74) and a password. Log in on a Windows PC with your normal user name. 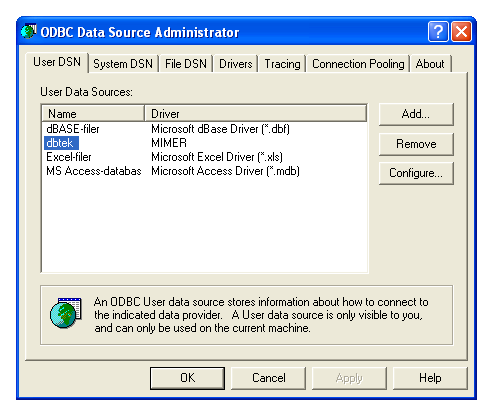 To connect to a Mimer database, you must first tell the local Mimer installation that the database exists. 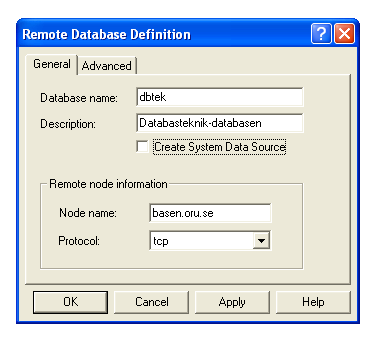 That the database is "remote" means that it is stored on a server, and not locally on the same machine. The database dbk may already be listed, but if it isn't, you have to add it. 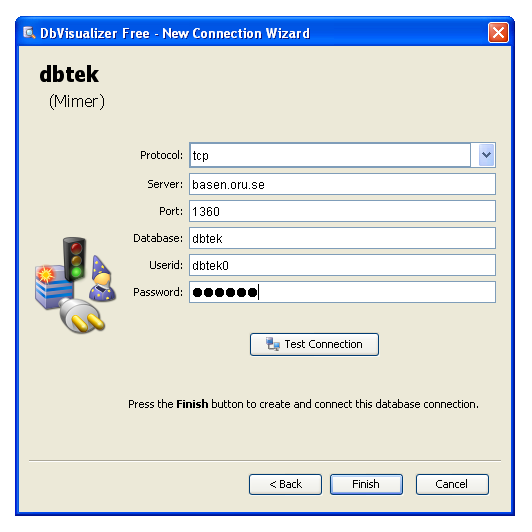 Click on Add, and in the Window that appears, enter the name of the database (dbk, not dbtek as in the picture). 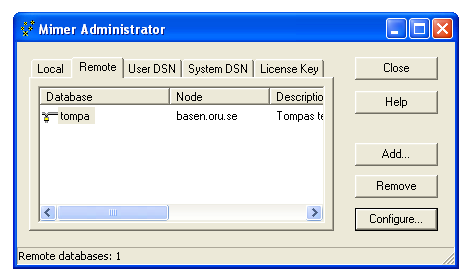 The Node name should be basen.oru.se. Be sure to uncheck the check box for Create System Data Source. Again: dbk, not dbtek as in the picture! 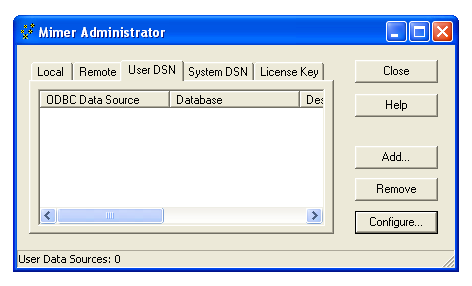 When you click OK, the new database will show up in the Mimer Administrator window. You can now close that window. 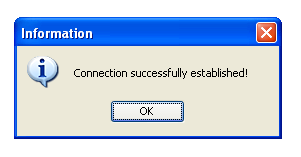 If you get an error message saying Error creating data source something, you forgot to uncheck Create System Data Source. Mimer will work anyway. If you get an error message saying that the registry key HKEY_LOCAL_MACHINE\SOFTWARE\Mimer\Mimer SQL\SQLHosts\something couldn't be created, there was a problem with how Mimer was installed on the machine. Nothing will work until the problem has been fixed. Please contact your teacher. Remember: dbk, not dbtek as in the picture! 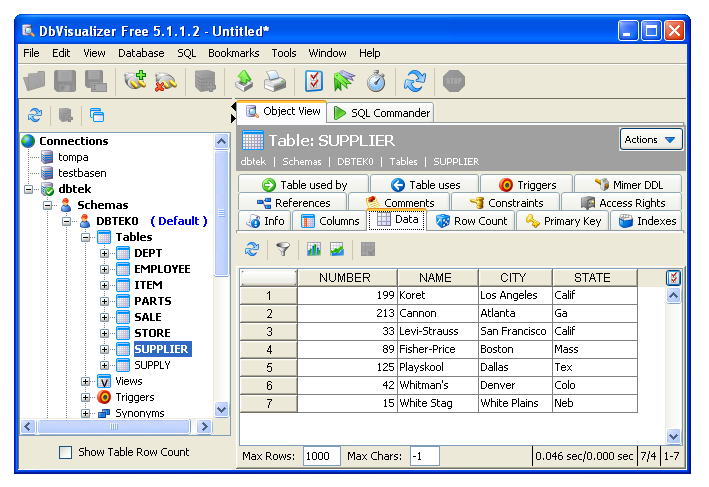 Choose the correct database, and click on OK. A text window will open, where you can enter your user name and your password (which you will get from your teacher), and then type in SQL queries. Queries can span several rows, and end with a semi-colon (;). 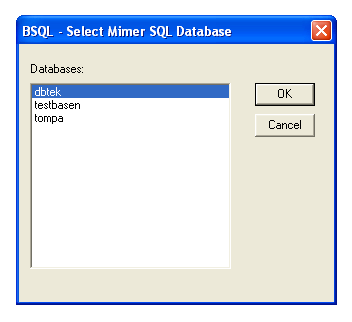 Mimer's Batch SQL is good for batch use, when you have a file of SQL commands that you want to run, but it is a bit cumbersome for interactive use, especially with large queries that don't fit on one row. 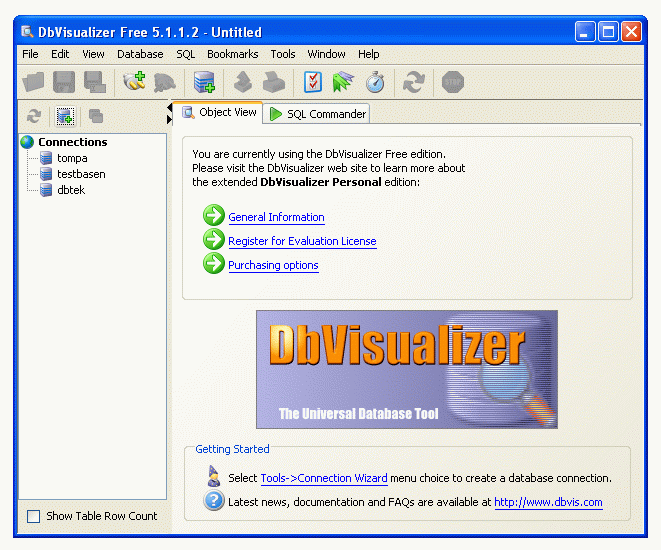 An alternative is to use DbVisualizer, which is a Java-based tool that simplifies the interaction with the database. 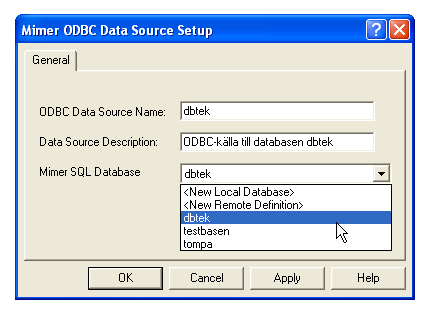 Just as with Batch SQL, the name of the database is dbk, not dbtek as in the picture! 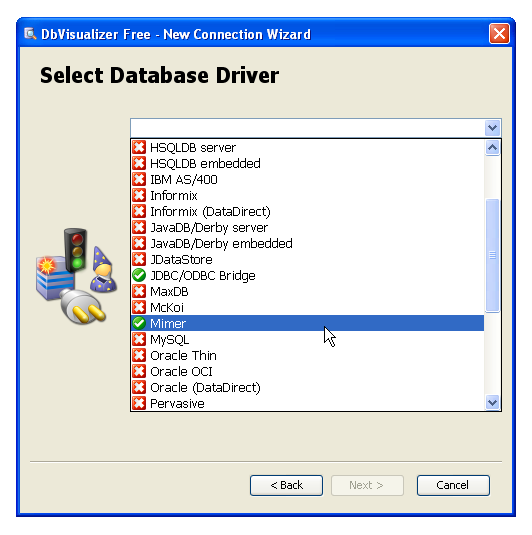 In order to use ODBC, you need to define an ODBC data source. A user data source can only be used by the user who created it, as opposite to a system data source, which can be used by anyone. Click on the Add to create a new user data source. 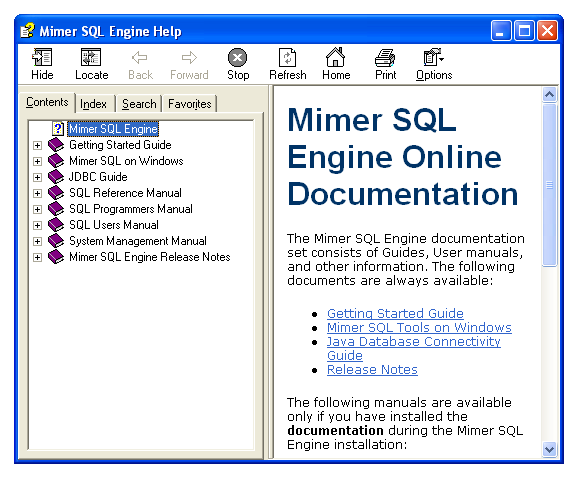 There are more manuals than you ever wanted at Mimer's developer web site, among them the full documentation for Mimer SQL 10.0 (which is the server's current version) and a number of specific HOWTO documents. 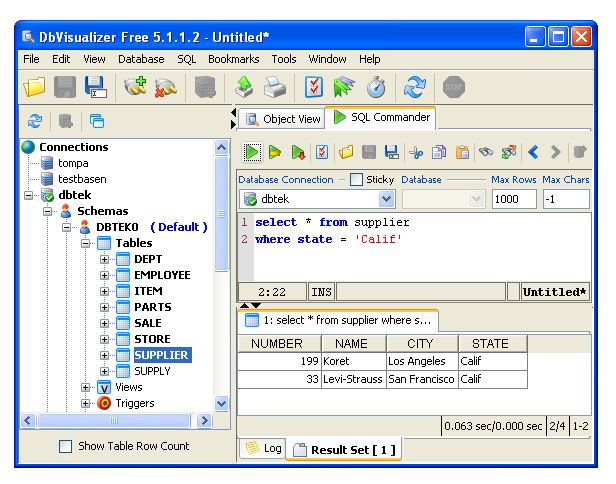 Among other things, you can look up the exact syntax for each SQL command. There is an FAQ list too.